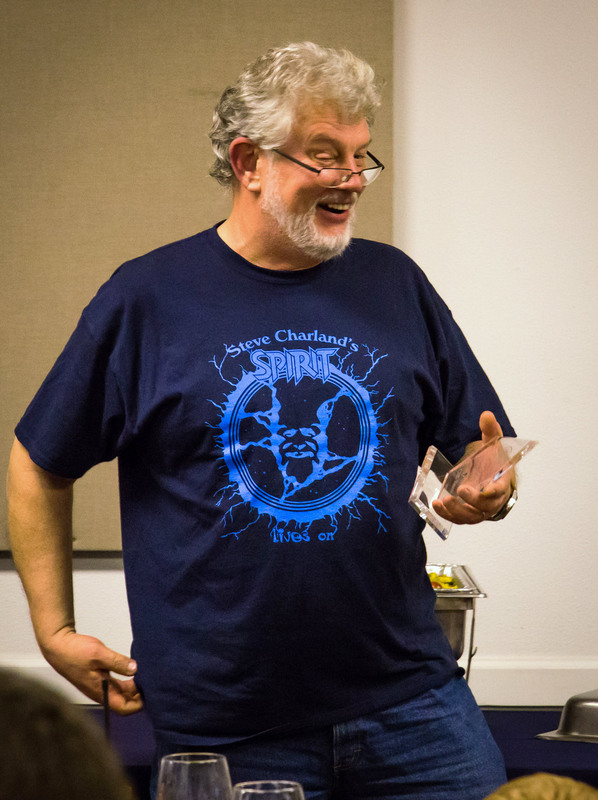 Chris’s talk concluded the first year’s Pin-U schedule which was put together by Ron Chan. 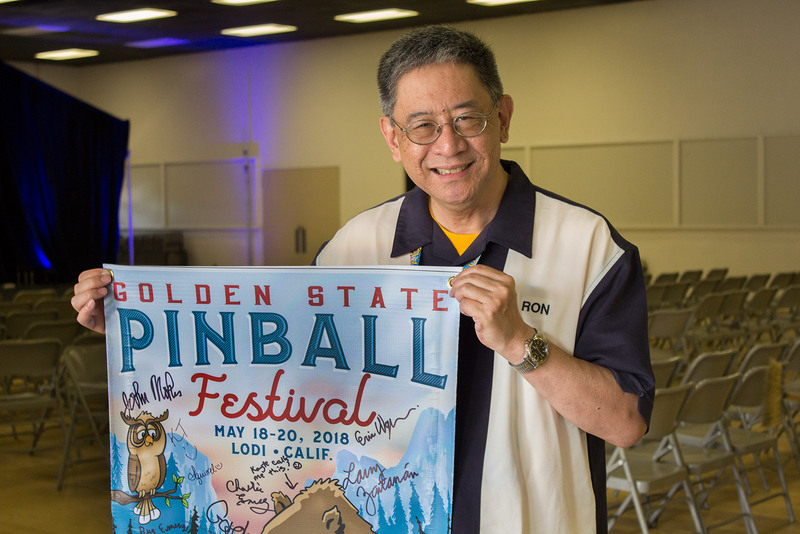 Ron got all the speakers to sign a special canvas GSPF poster to help commemorate this inaugural event. 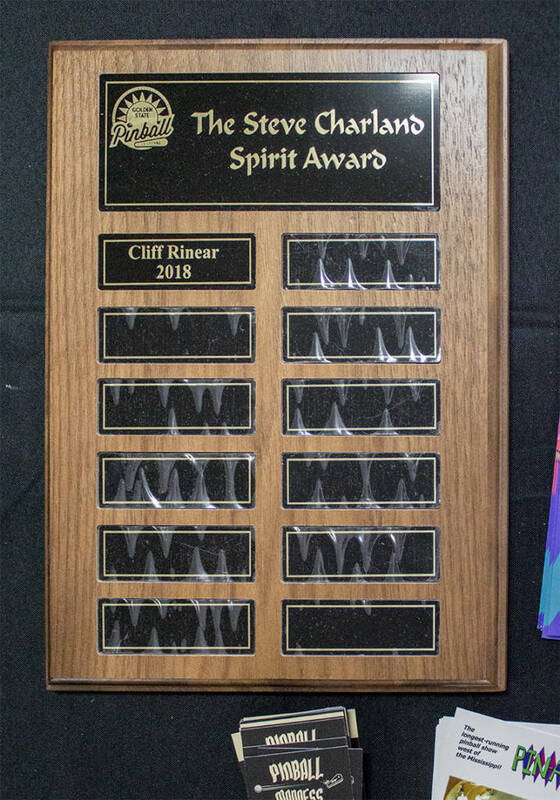 There’s no doubt that this new show continued the ‘spirit’ of the classic Pin-A-Go-Go shows from recent years, but expanded it to give more of everything. 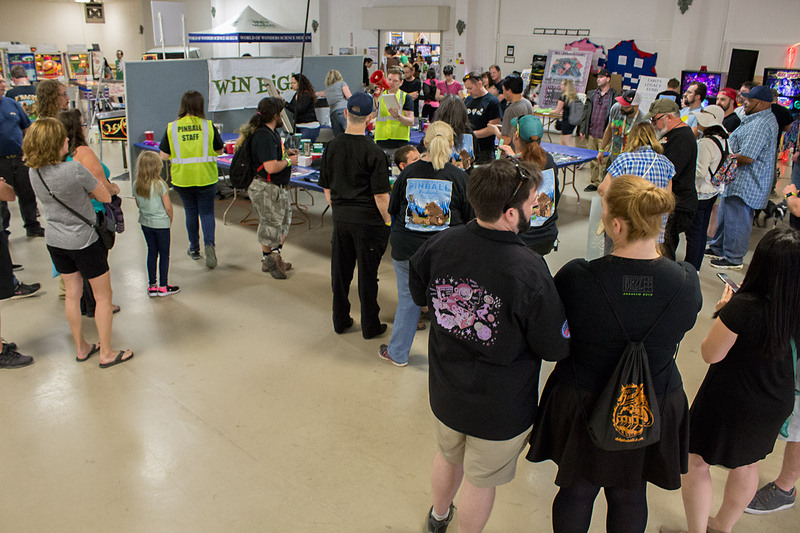 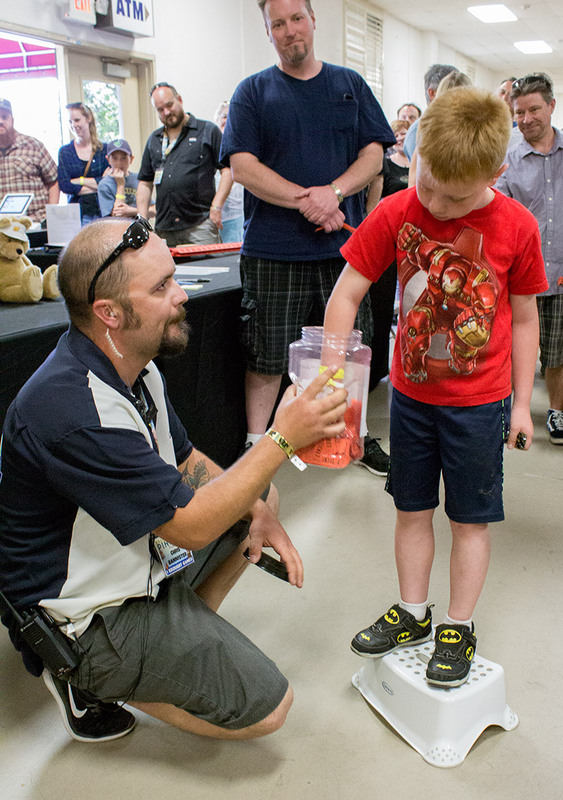 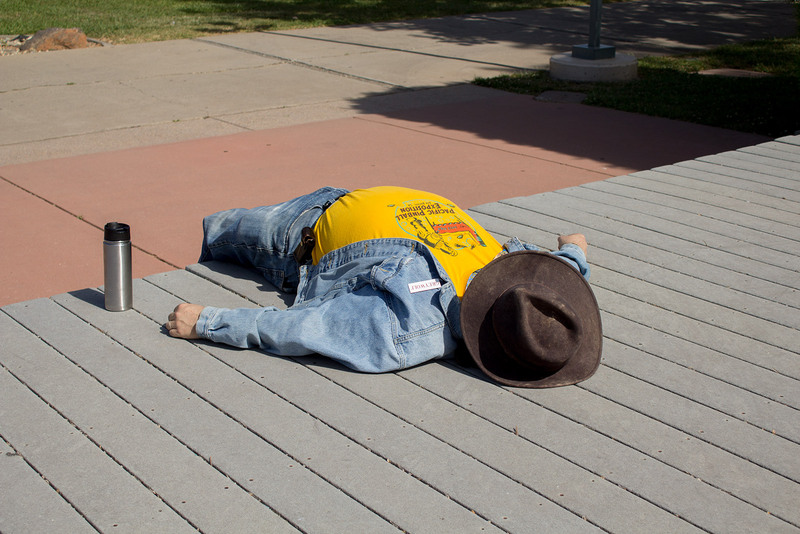 More games, more vendors, more visitors and more education. 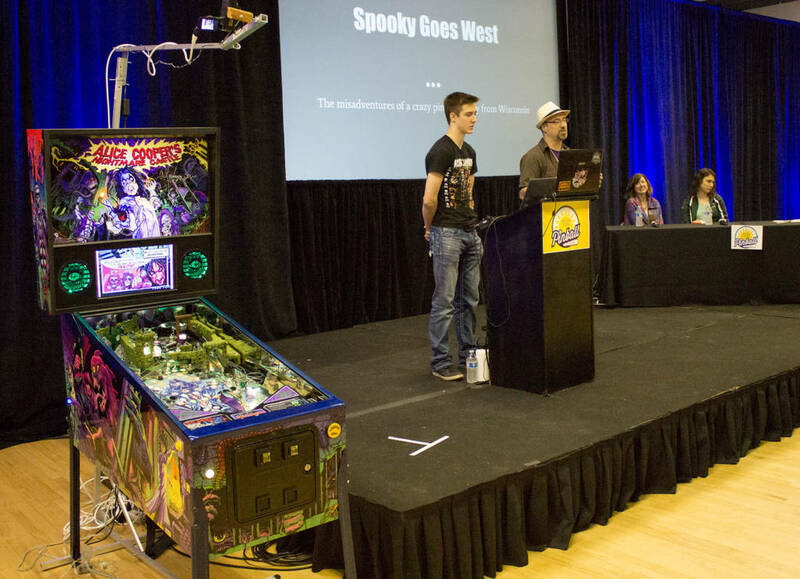 Key to this latter aspect was the Pinball University schedule of talks. 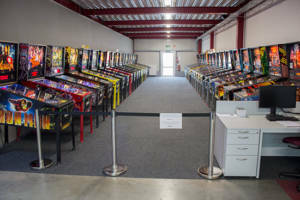 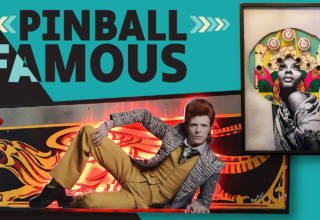 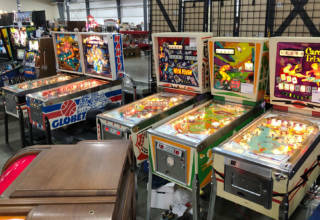 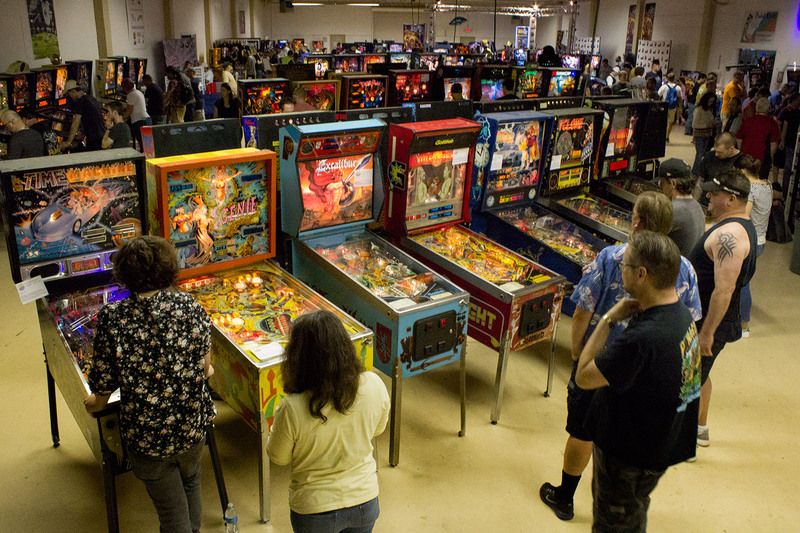 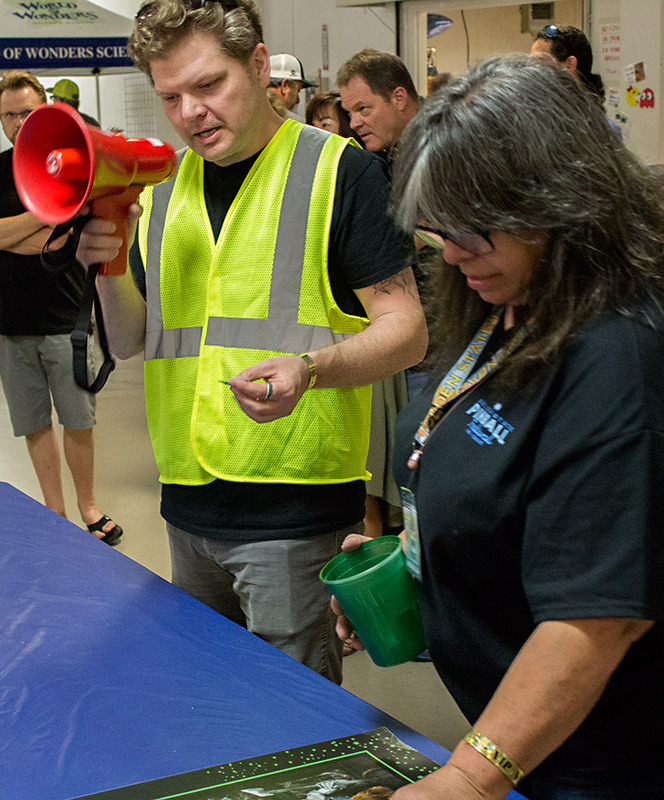 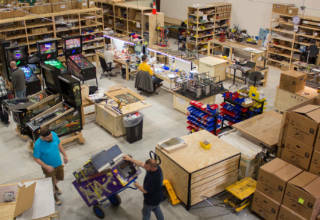 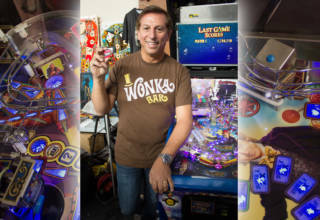 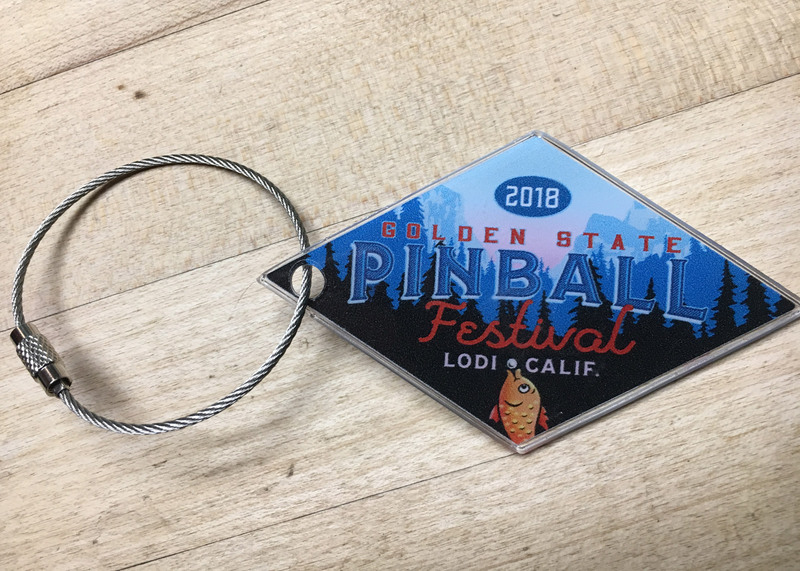 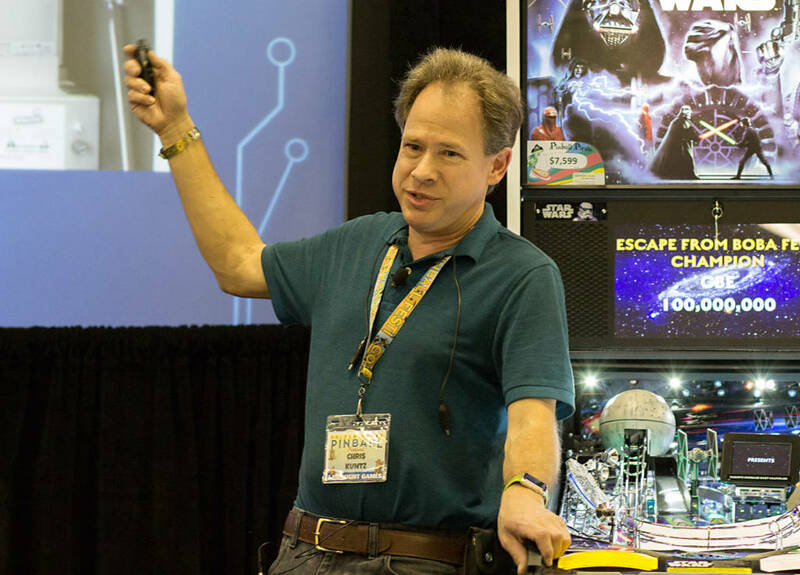 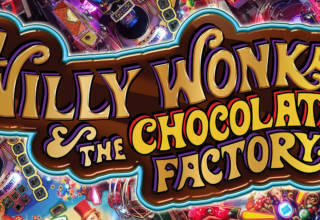 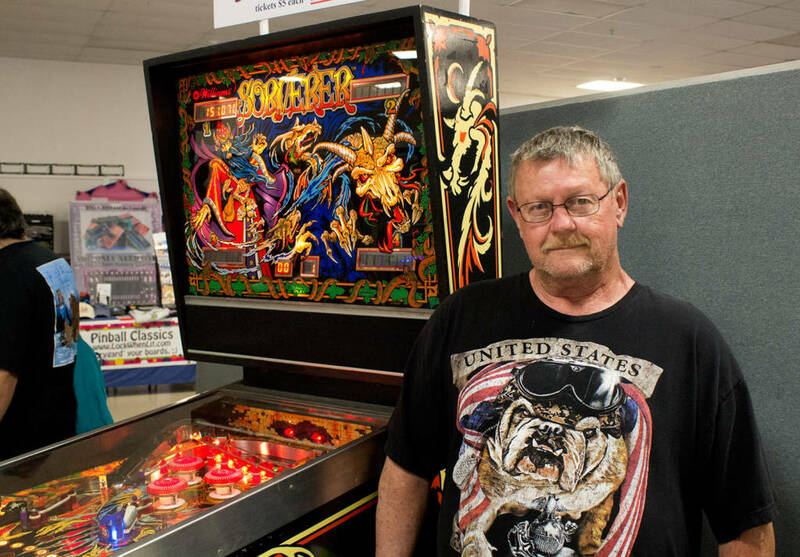 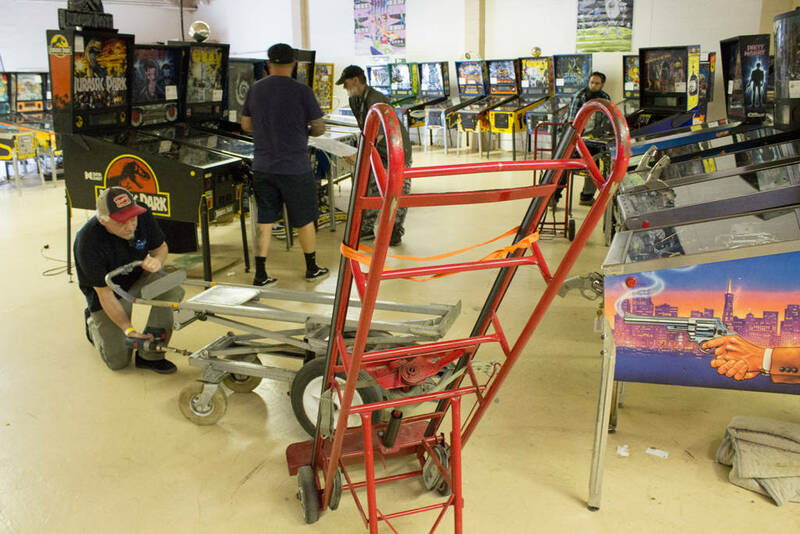 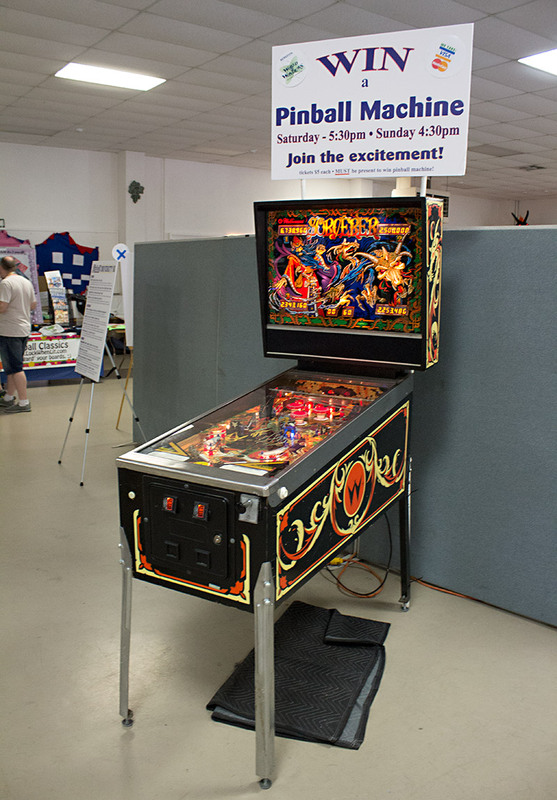 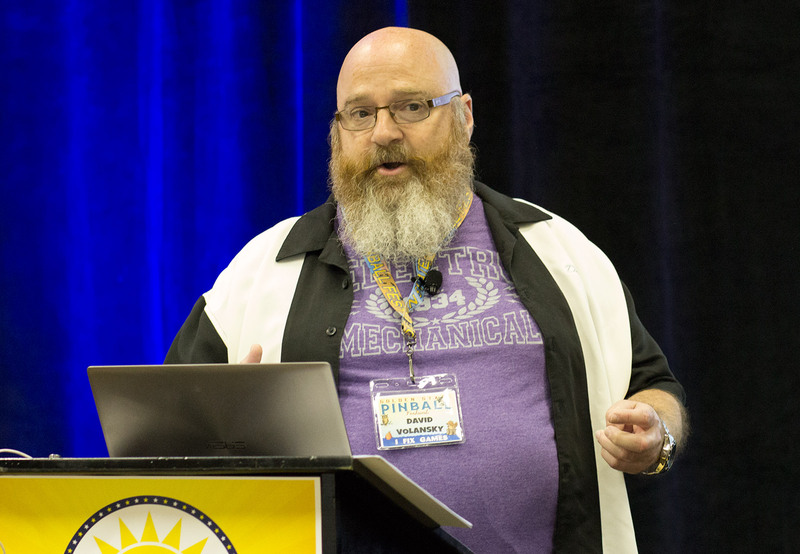 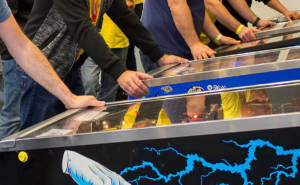 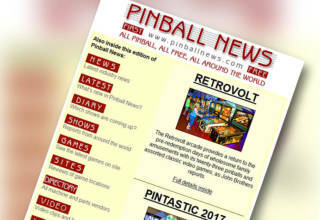 These took their cue from the Pacific Pinball Museum’s quest to promote the different aspects of pinball – the science, technology, education and mathematics. 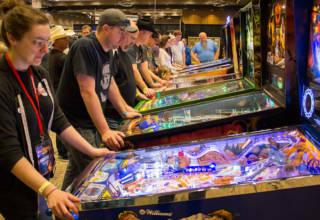 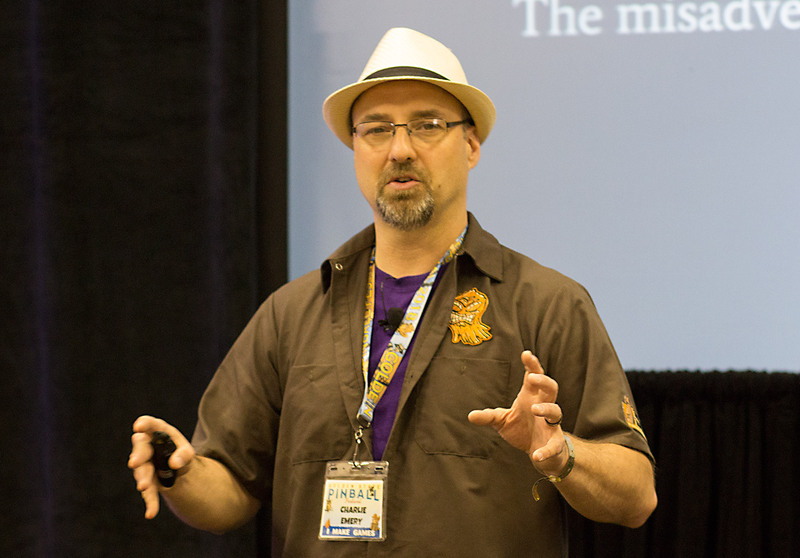 Put together a great selection of games and vendors and you certainly have a show, but talks or seminars can become landmark events which make people come and stay. 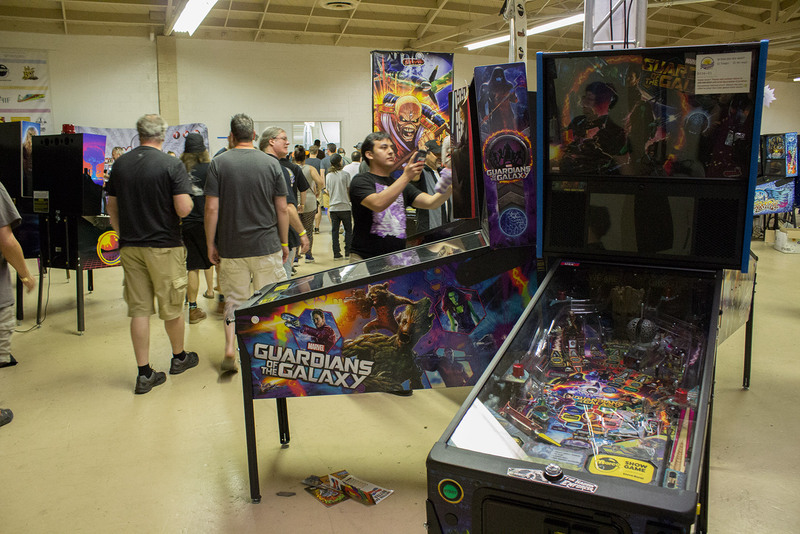 However, keeping the relaxed, laid-back feel from previous years is also a key differentiator for the GSPF, and that comes from several angles. 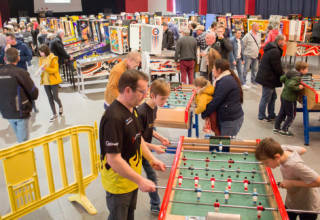 The adjacent camping area encourages a party atmosphere, while the casual tournaments ensure there’s none of the high-tension dramatics seen in more competitive events. 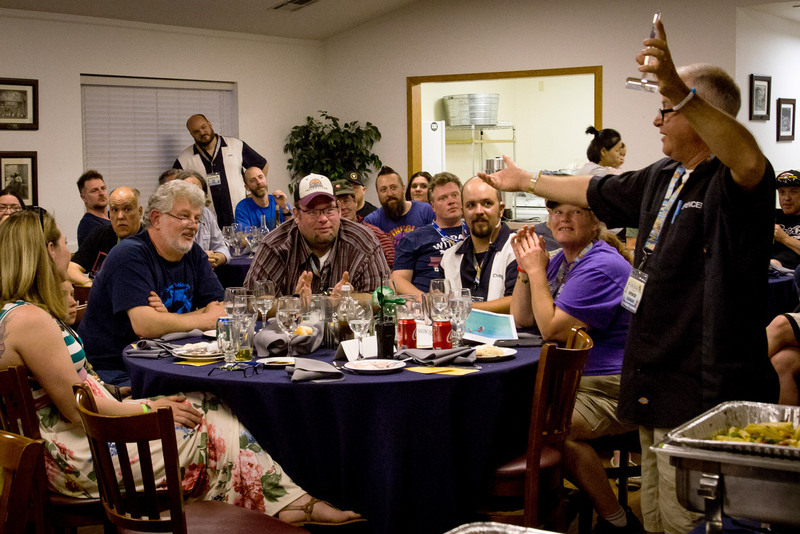 I’m certainly looking forward to coming back to enjoy more of the fun, sun, wine and the great west-coast hospitality next year.